“Today House Republicans are answering President Trump’s call to action with legislation to repeal this failing law and help ensure workers and families in Texas and across the country have access to health care that’s tailored to their needs—not health care that’s dictated by Washington. “Seven years ago, Obamacare put Washington in control of Americans’ health care. And for seven years, Washington has been failing to deliver results. Families can’t afford their premiums, patients can’t visit the doctor they like, and fewer insurers are offering coverage options every day. With President Trump, House Republicans are taking a stand. “Our legislation transfers power from Washington back to the American people. We dismantle Obamacare’s damaging taxes and mandates so states can deliver quality, affordable options based on what their patient populations need, and workers and families can have the freedom and flexibility to make their own health care choices. The Ways and Means Committee has scheduled a markup of this legislation on Wednesday, March 8, at 10:30 a.m., in room 1100 of the Longworth House Office Building. 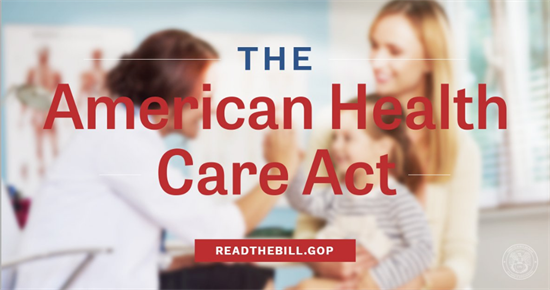 More than eight months ago, House Republicans unveiled A Better Way, our vision for repealing Obamacare and replacing it with a patient-centered, 21st century health care system. On January 13, the House passed a budget resolution to begin turning that vision into legislation through reconciliation—a process that allows legislation to be passed with a simple majority in the Senate and quickly signed into law. The budget resolution outlined specific instructions for the Ways and Means and Energy and Commerce Committees—the primary Committees with jurisdiction over health care—to draft legislative recommendations that the Budget Committee could compile into one reconciliation package. Dismantles Obamacare taxes and mandates—including the individual and employer mandate penalties and taxes on prescription drugs, over-the-counter medications, health insurance premiums, and medical devices. Empowers individuals and families to spend their health care dollars the way they want and need by enhancing and expanding Health Savings Accounts (HSAs). Helps Americans access affordable, quality health care by providing a monthly tax credit to individuals and families who don’t receive insurance through work or a government program.